Mr. Haimo is an Executive Director at CapM. He brings to clients and transactions extensive domestic and international M&A, legal, business and executive leadership experience. Prior to joining CapM, Mr. Haimo founded the New York office of Chow Tai Fook Enterprises, a Hong Kong-based family holding, property and investment firm. With responsibility for transactions outside of Asia, he directed teams in New York and London in a broad range of direct investments in the US, Europe and South America, including in lodging, commercial real estate and private equity. He previously practiced as an M&A and corporate finance lawyer for over 30 years, most recently as a partner in the New York office of Gibson, Dunn & Crutcher, where he advised global corporations, boards of directors and private equity firms in M&A transactions on five continents. Prior to joining Gibson Dunn, he was a partner with Baker & McKenzie. His deal practice has included major transactions for Heineken, Swiss Re, Cardinal Health, New World, Rosewood Hotels and Kuwait Investment Authority. Mr. Haimo is a member of the New York bar and Avocat à la Cour de Paris. After his upbringing in New York, Mr. Haimo graduated from the Institut d’Etudes Politiques de Paris and obtained law and graduate degrees from the University of Paris and then New York University School of Law. 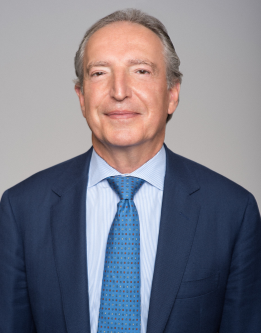 Mr. Haimo is actively involved in international education, both as the Chairman of the Board of Trustees of the Lycée Français de New York since 2009 and a founding member of the US Sciences Po Foundation. In 2006, the French government awarded him the distinction of Chevalier de la Légion d’Honneur.